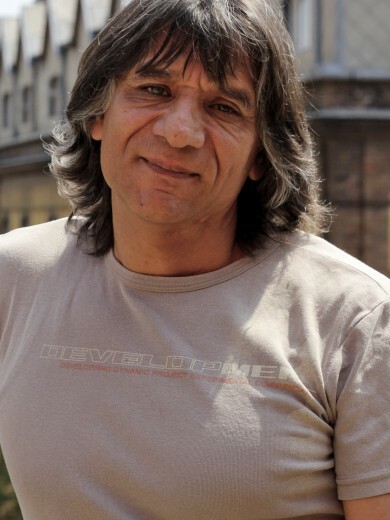 Peter Lazar improves the the education of disadvantaged Roma children and their families alike. The Dear House Project serves as a boarding school where children live during the week and learn about social and life skills next to their normal educational program at school. By telling their parents what they have learned during the week the children motivate them to improve their own education as well. The Roma population of Hungary is close to 1 million, and they are relegated into the periphery of society, in most cases without any future perspective. To handle these hopeless families is one of the biggest challenges for pedagogues, and the biggest setback for the integration of the children. fit in at the workplace and later to raise a family responsibly. The program of the House was adopted by four thousand pedagogues and used effectively in hundreds of schools. Péter and his colleagues founded Dear House nearly 20 years ago. It is working as a boarding school for Roma and disadvantaged children. This institution gives them the kind of knowledge and love that creates equal opportunities and eventually helps them fit into society. His dream is to spread and make the Dear House system sustainable in Hungary concerning housing, education and employment. In addition, his goal is to solve the Roma question and give hope for nearly 1 million people living on the peripheries of society. Since Péter grew up in a foster–home, he was able to see the problems and shortcomings of the system. Two teachers helped him to learn that the only road to success is persistence.